Backbone curvature or scoliosis is the presence of sideways curvature of the spine that is abnormal. One needs to understand that scoliosis is a condition and not a disease and this problem is accompanied by muscular tightness, back pain and fatigue. Apart from these glaringly obvious symptoms this problem can also restrict lung capacity and other neurological symptoms like numbness, tingling, nerve pain and weakness. Congenital scoliosis – This type of backbone curvature is present at birth. This scoliosis occurs when there are problems in the formation of vertebrae or fused ribs when the fetus is still in the development phase in the womb. Neuromuscular scoliosis – As the name suggest, this type of scoliosis occurs when the patient is suffering from neuromuscular disorders like cerebral palsy, spina bifida and polio. Idiopathic scoliosis – This type of scoliosis occurs in children in growth spurt phase which occurs just before puberty. Back doctors perform a thorough physical examination of the spine, shoulders, hips as well as legs so that he can assess the signs of scoliosis. In case scoliosis is suspected he usually go for imaging test like X-ray to determine the severity of the spinal curvature. 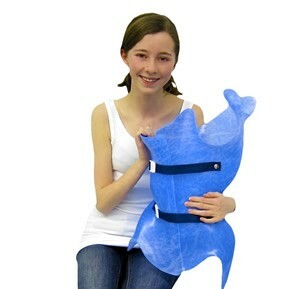 Looking for the best back pain treatment plan for scoliosis in Dallas? Let us help you make the right decision for your spine by filling the form given above or by giving us a call at (888) 779-8716 today.